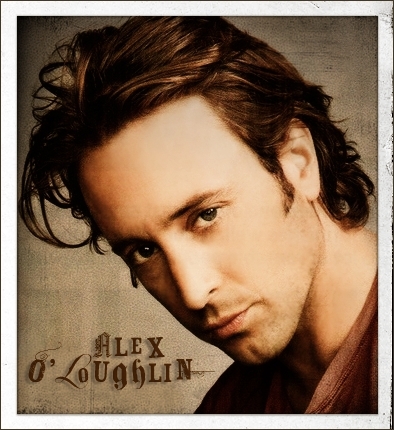 Do you think that the producers/writers of "Hawaii five-0" are underusing Alex's atuação talent? The fans pick: No, the role suits his atuação qualities. If Alex could be in any show - that's still on the air - or movie which would it be? The fãs of Three Rivers Organ Donor Campaign is a coalition of fãs dedicated to spreading the word about organ donation, and assisting those who are interested to register as organ donors. “Do you still want to know my secret?” he asked in a soothing tone. It didn’t help that his voice so soft that it made it harder to stay awake. “Sure.” I said moving closer to him. “Ouch!” last night I was out to long and por the time I came início I was exhausted so I just slept on my mattress that laid on the floor. I woke to the waves crashing onto the costa and the sun light touching my eyes. Not realizing I was on the edge of my bed, I stretched and landed on the cold floor to my two room apartment. “Somebody turn the lights on, Somebody tell me what’s wrong I’d be lying if I told you losing you was something I could handle…” I had been driving for about two and a half hours the highways were clear I had the windows all the way done cantar along with my I-pod. In a matter of segundos I could see cars slowing down on the highway in Kansas and as the cars started to stop I could see a long line of cars in front of me. I can’t believe this I was finally going to make it to the seguinte state before the traffic started happening. I’m finally on my own, alone. I just turned eighteen a couple of months atrás and I got a job offer in Los Angeles California. I’ve been composição literária since I could write and when I reached junior high I joined the new paper and I did the same in high school and in my segundo ano of high school I was offered a job as a reported for the Salem New Hampshire news paper and I accepted. My job threw the years had grown and now that I’m done high school I can take the job offer. We hate Steve McGarrett's sickness !!!!!!!! We amor Steve as invincible and powerful Navy foca, selo 😍😍😍!!! What is the one thing that Alex doesn't like about his face?